� 17.05.2010 - PR company takes honour for Western Sahara "success"
afrol News, 1 July - The European Commission is defending its fisheries outside the Moroccan-occupied territory of Western Sahara as legal, despite protests from Saharawi authorities, UN specialists and the EU parliament. In a letter sent to the "Fish elsewhere" campaign against the EU-Morocco fisheries deal, the European Commissioner for Maritime Affairs and Fisheries, Maria Damanaki, defends the controversial inclusion of occupied Western Sahara in the 2006 deal. The letter refers to a legal opinion about the resource exploitation in occupied territories made by UN specialist Hans Corell in 2002. "Mr Corell, concluded that (economic) activities in a non-self-governing territory by an administering power are illegal 'only if conducted in disregard of the needs and interests of the people of that territory'. This opinion was taken into consideration with negotiating the agreement in 2006," the letter says. According to Ms Damanaki's conclusions, Morocco's sale of fisheries rights outside Western Sahara to EU vessels therefore could not be termed "illegal", as campaigners had argued. The letter further holds that the fisheries agreement "may have a positive effect on the Western Sahara economy, for example through landing of catches, embarkation of local seamen, and use of local ports." As such, the "needs and interests of the people of that territory" had been taken into consideration. Sara Eyckmans of Western Sahara Resource Watch however finds the arguments in the letter from the European Commission "scandalous". Mr Corell's legal opinion had concluded totally in contrary to Commissioner Damanaki. "Instead of referring to the evident conclusion of the UN document, the European Commission has cut-and-pasted a completely unrepresentative sentence from within the text to support its illegal fisheries," Ms Eyckmans said. The much referred to 2002 legal opinion from the UN Legal Counsel stated that it would be illegal to exploit the natural resources in Western Sahara if the people of the territory are against it. POLISARIO, the exiled government of the territory recognised by the UN as the Saharawi's legal representative, has strongly protested the EU's fisheries in Western Sahara waters. Also Mr Corell himself in a December 2009 statement said these fisheries were illegal. It was "obvious that an agreement .. that does not make a distinction between the waters adjacent to Western Sahara and the waters adjacent to the territory of Morocco would violate international law," Mr Corell, now retired, stated. But even in Europe, the resistance to the fisheries deal is growing as Morocco refuses to explain how the EU money paying for Western Saharan fish is being spent. An ordered Moroccan report, outlining how among others the Saharawi population was benefiting from the deal, is not being produced. 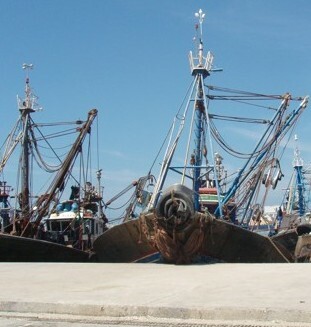 Only on Wednesday, Carmen Fraga, the chair of the European Parliament's Fisheries Committee stated that Morocco's unwillingness to explain the use of the EU funds might jeopardise the planned renewal of the current fisheries agreement. The actual agreement terminates in March 2011. A few weeks ago, Morocco also denied a fact-finding delegation from the same Fisheries Committee to visit the territory to investigate how the EU money was spent. Also the EU Parliament has asked the Commission to specify how the Saharawis have been consulted and how they benefit from the agreement.